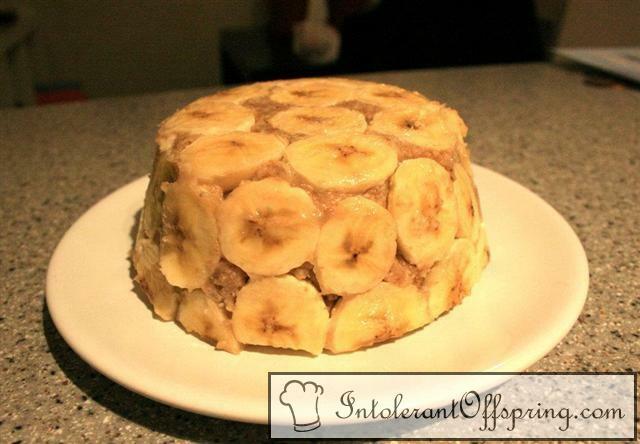 Cut a banana into pieces and lay on the bottom and sides of a glass dish that is about 4x4". In a food processor, mix dates and shredded coconut until you get a thick and sticky paste. Cover the banana layer with about 2/3 of that paste. Layer fruit into inside. Cover with remaining date-coconut mix. Place the cake in the fridge for a few hours to overnight. Turn upside down carefully onto a plate and serve. Eat within a day or so.